New York City, we love you. Bold and gorgeous, loyal always, tender sometimes, kind when it’s called for, tough when you must be, honest, brave, and possessing a fierce and quiet strength and honor and beauty in the face of hardship or heartbreak…New York, you are home and everything we hope to be and everything we will always hold dear all at once. 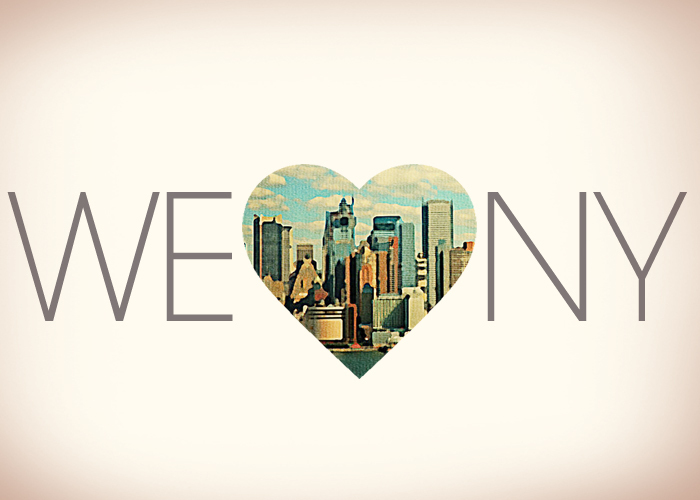 New York, we love you, and, especially today, we’ll never let you forget it. I love you. Do you get this. Dad from Gramma!!! Hi Gramma, yes I get this! I love you.